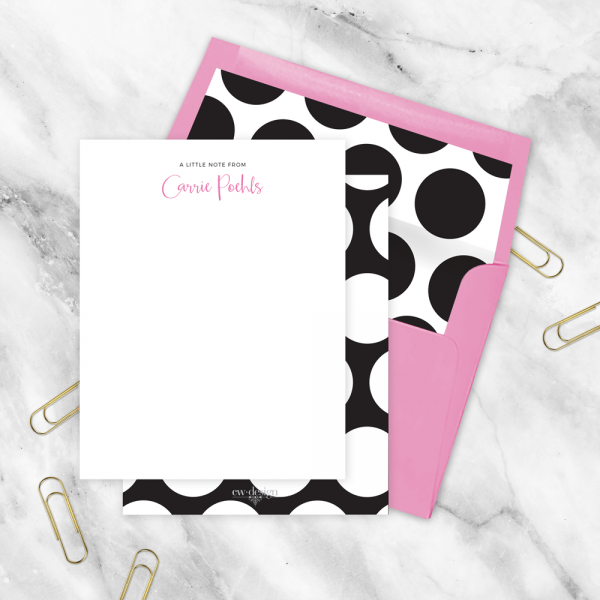 Stay in touch with a modern and chic stationery set. Printed on premium stock, and includes a backer pattern, and pink envelopes with matching envelope liners to complete the set. Set includes 10 cards and 10 envelopes and packaged in a complimentary stationery box. ENVELOPE: Pink envelopes will be provided with your cards.